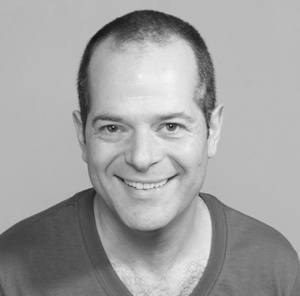 Yuvalal studied Mathematics, Physics and Computer science in the Hebrew University of Jerusalem, and continued to study Theater acting and directing in "The Performing Arts Studio", Tel-Aviv. Since graduating he's been sharing his time between theater, software development and academic research. Since 1995, apart from directing and playing in numerous theater productions, Yuvalal works with the Molecular Cell Biology department at the Weizmann Institute of Science, specializing at digital Image Analysis. He also works as an expert consultant and algorithm developer in various software development companies. As an acting teacher Yuvalal trained hundreds of students and mentored numerous groups in developing a concept into a play. His main focus in theater is on investigating human interactions and formulating basic principles that support good acting. In addition, Yuvalal has a strong belief in the healing power of theater, and is leading a theater group for high-risk youth as a volunteer in a non-profitable organization. Since 2011 he joined the Theater Lab at the Weizmann Institute, were he uses his knowledge from theater to study human interactions using exact sciences tools. Yuvalal joined hfp in 2014: "The challenges of creating innovative science are great, and scientists deserve access to knowledge about leadership and human skills that are practiced in other fields. I'm excited to be part of hfp consulting in this meaningful task and to add my theater perspective".